Results of a two-decade long survey by the Sea Education Association have revealed that there is a large area, between 22º and 38º N, in the North Atlantic within which plastic debris accumulates. The maximum density of this debris was found to be 200,000 pieces per square kilometre, which is comparable with the Great Pacific Garbage Patch, although in the North Atlantic the plastic is much more widely dispersed and has generally been broken up into much smaller pieces. 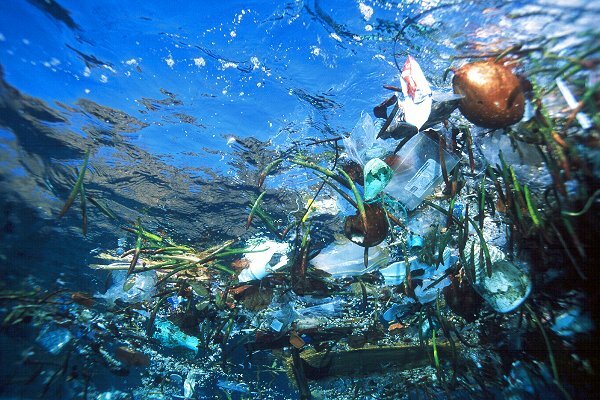 This research highlights firstly the need for more studies on the environmental impacts of plastic on the marine environment, and secondly, the need for changes in environmental waste management strategies in order to reduce the amount of plastic debris which currently enters the oceans. In a recent article in Geographical Journal Donald Lyons and others investigate the movement of scrap material, including iron, steel, paper, plastics, aluminium, copper, nickel and zinc, to and from the USA. Their study reveals that whilst material should be recycled locally in order to decrease the costs of transportation, and its associated environmental impacts, a large proportion of low grade recyclable material in the USA is exported to developing countries as demand, price and transportation costs often make it more profitable. In return, the USA imports more high-grade scrap material. This current recycling infrastructure potentially hinders the development of a ‘closed loop’ industrial system where scrap materials are used to substitute the virgin materials currently used in production. However, the authors argue that whilst these global circuits are unlikely to be a sustainable long term solution, at present they provide a solution between supply and demand differences within the developing and developed worlds, and that the use of US scrap material in the developing world is a preferable alternative to virgin production. Read Lyons, Rice and Wachal (2009). Circuits of scrap: closed loop industrial ecosystems and the geography of US international recyclable material flows 1995–2005. 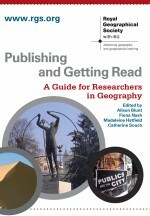 Geographical Journal 175: 286-300. This entry was posted in Uncategorized and tagged Biogeography, Environment and Society, Global Issues, Great Pacific Garbage Patch, North Atlantic plastic debris, recycling, scrap material on March 4, 2010 by cboston.